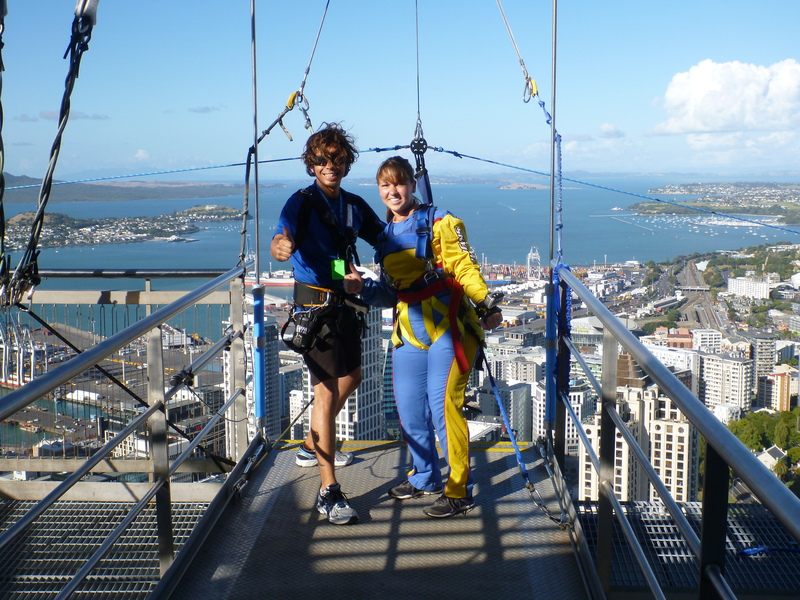 Watch as I casually jump off of the Sky Tower in Auckland, NZ at 182 meters (600 feet) above the city. The Sky Tower is the tallest free-standing structure in the Southern Hemisphere and can be spotted from anywhere in the city. There are observation decks on the 51st and 61st floors. 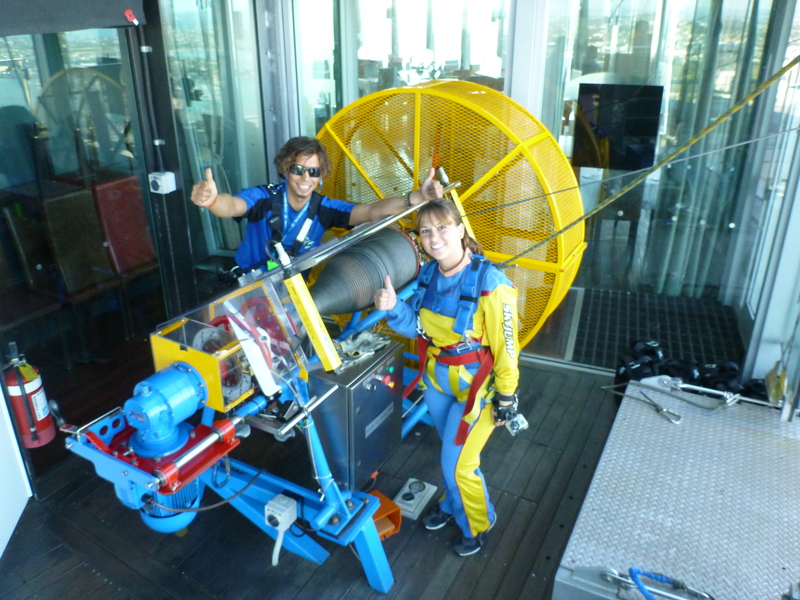 The Sky Jump and Sky Walk take place on the 53rd floor. I was not too nervous about jumping but once I got to the edge and looked down I questioned my sanity for about 30 seconds because that was all I had before I was forced to jump. It was so cool and if you have the guts to do it, you should! It was very safe and was over in 11 seconds. 600 feet in 11 seconds; and only the first 3 were terrifying. Awesome!!! So proud of you!! !